The ASBA New England Chapter and the ASBA put together a fantastic conference! Kudos to them. BAGSC members at the ASBA Annual Meeting & Conference in Boston (actually Newton) were: Deborah Friedman, Joan Keesey, Suz Landay, Pat Mark, Debora Resa, Elaine Searle, Gilly Shaeffer, Deb Shaw, Jennifer Thomson, and Leslie Walker. Keep your eyes on our blog for articles and pictures from the conference. 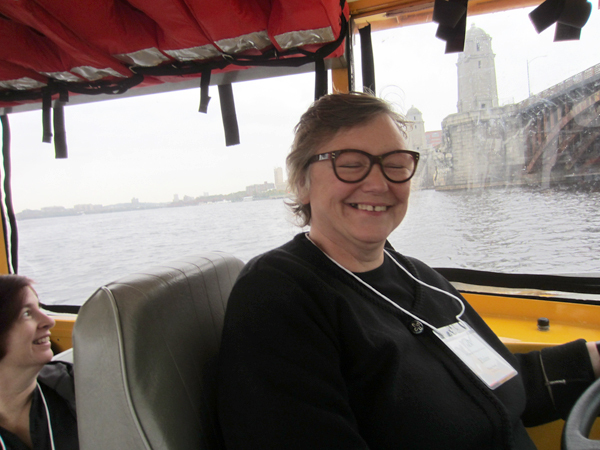 In the meantime, here are pictures of Elaine Searle and Suz Landay taking turns driving the “Duck” on the “Flavor of Boston” tour. Suz Landay driving the Duck. 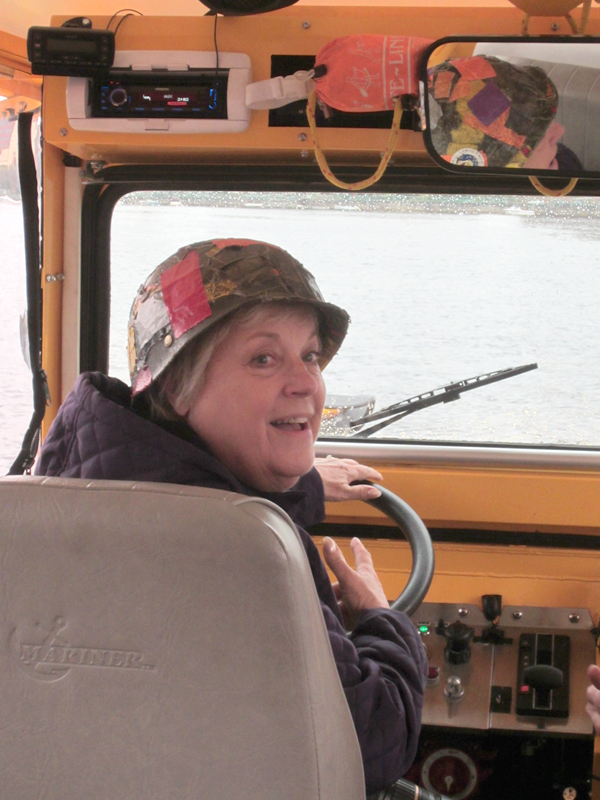 Elaine Searle driving the Duck.